Mahagita songs embody elements of Buddhist devotion. 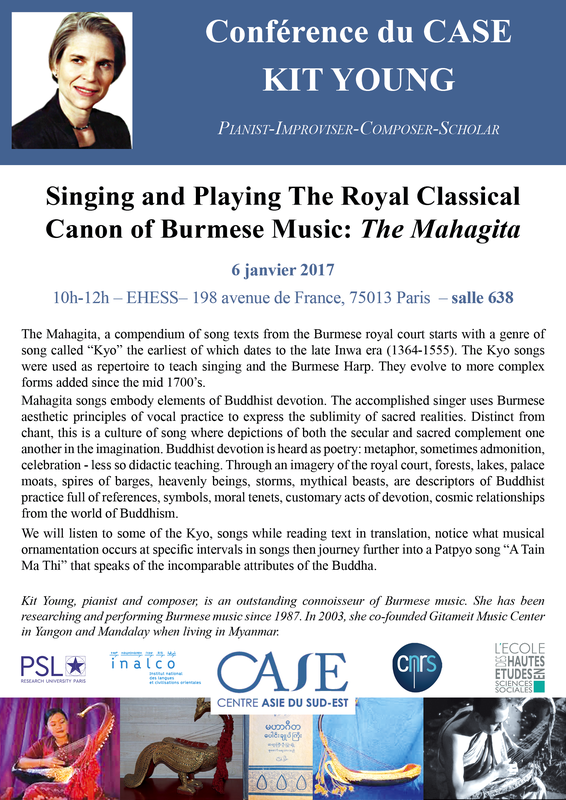 The accomplished singer uses Burmese aesthetic principles of vocal practice to express the sublimity of sacred realities. Distinct from chant, this is a culture of song where depictions of both the secular and sacred complement one another in the imagination. Buddhist devotion is heard as poetry: metaphor, sometimes admonition, celebration - less so didactic teaching. Through an imagery of the royal court, forests, lakes, palace moats, spires of barges, heavenly beings, storms, mythical beasts, are descriptors of Buddhist practice full of references, symbols, moral tenets, customary acts of devotion, cosmic relationships from the world of Buddhism.